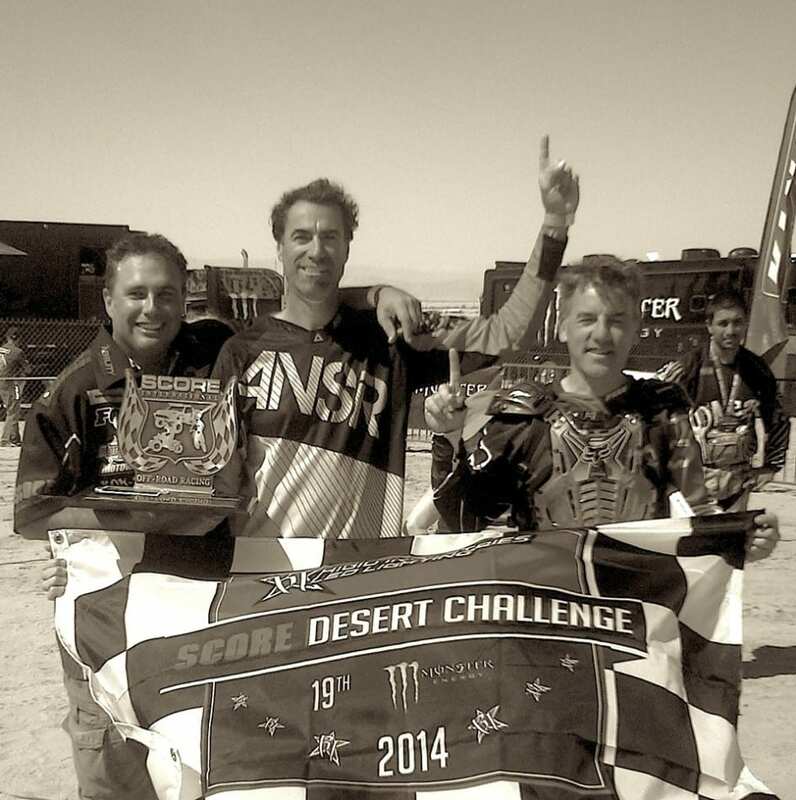 We are proud to share the news that the HERO Racing team came from behind to win the 17th Rigid Industries SCORE Desert Challenge recently, and are one of three teams in all classes to be undefeated all season! The HERO team dedicated this past race to Kionte Storey, a wounded marine who received a new prosthetic foot from the racing team along with Ability Dynamics. Sponsors and supporters include Honda of North America, Kontiki Motorcycles, Suspension 101, Ability Dynamics, Dunlop Tires, Motoworld, FMF, GoPro, Fox Shox, M&M Racing, Pro Taper, Leatt, Hinson Racing, DP Brakes, Bike Week on AM1090, Trail Tech GPS systems, Wet Duck Designs, Baja Pits, SCOTTS steering stabilizers, IMS, Applied Racing, Decal Works and Hot Cams.